By using Windows XP mode, you can literally use Windows XP from your Windows 7 operating system. This feature also allows you to run older software that works on Windows XP. 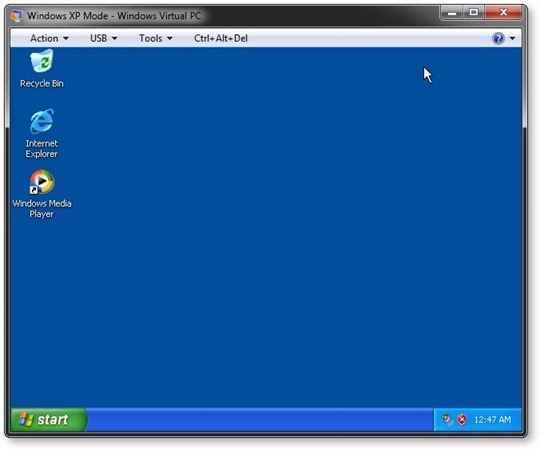 Windows XP Mode runs on Windows Virtual PC—which is the application that allows you to run Windows XP alongside Windows 7. This feature is only available for the Professional, Ultimate, and Enterprise versions of Windows 7. 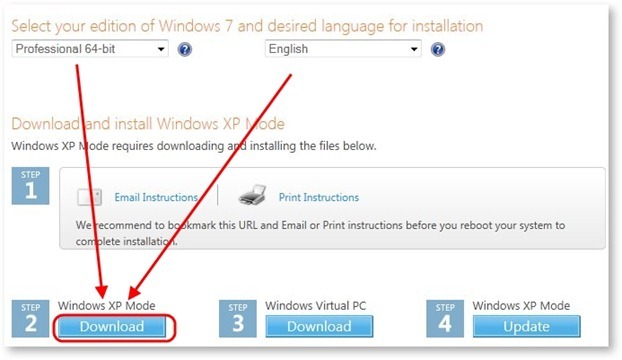 Access Microsoft’s download page to download Windows XP Mode to your computer (see the resource section below). 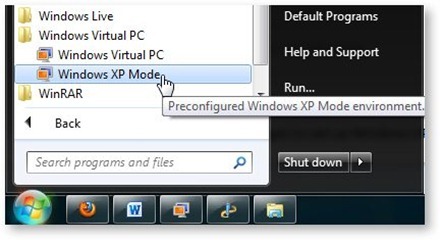 In order to use Windows XP Mode, you need to have Windows Virtual PC on your computer. After you have accessed Microsoft’s download page, select the version of Windows 7 you have and your desired language. Choosing the correct version of Windows is essential. 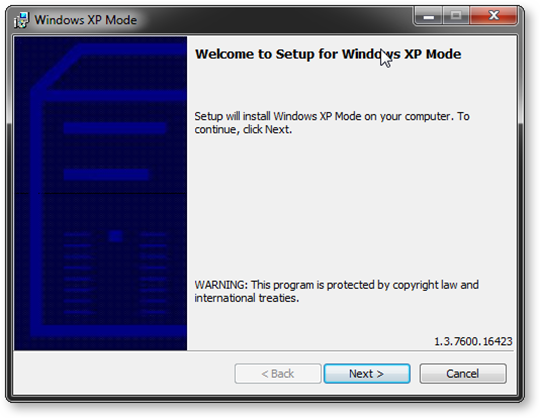 For example, the 64-bit version of Windows XP mode will not work on a 32-bit computer. Click the “Download” button under “Windows XP Mode.” Microsoft will then prompt you to run a validation test. Click “Continue” to run the validation test. When the validation is completed, click “Continue” to proceed. Now, Microsoft will allow you to download Windows XP Mode. The file size is about 500 megabytes—which might take a while for you to download depending on your Internet connection. The whole Windows XP operating system is inside this file. Go back to Microsoft’s download page and click the “Download” button under “Windows Virtual PC.” This will download Windows Virtual PC to your computer. Access the location you downloaded Windows Virtual PC, and then double-click the installation package. Windows will prompt you whether to install the software update or not. Click “Yes” to install Windows Virtual PC. After you have accepted the terms and agreement, the updates will be installed to your computer. After the new updates are installed, restart your computer for the changes to take place. Figure 2: Windows Virtual PC’s Setup Icon. Install Windows XP Mode. Access the location you saved the “Windows XP Mode” file you downloaded. Double-click the file to run the installation wizard. Click “Next” to proceed. The installation wizard will then install Windows XP mode to your computer. After the installation is complete, click “Launch Windows XP Mode.” Accept the terms and agreement and click “Next” to proceed. Enter your credentials such as the password and click “Next.” Click “Start Setup” to finish the installation. · Windows XP Mode is not available for all Windows operating systems. 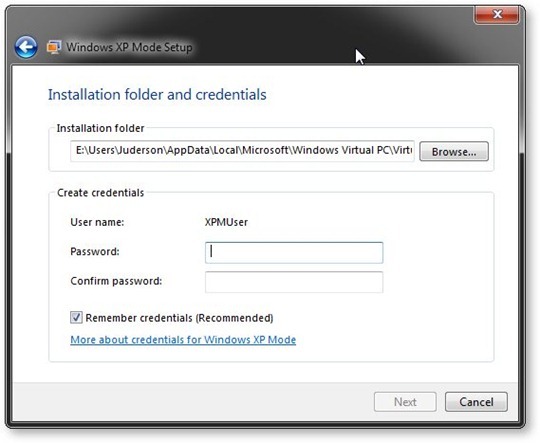 · You need to have administrator privileges to set up Windows XP Mode.